Today, we hear from Maryrose, mum to Taliyah. She tells us of her daughter’s initial rhabdomyosarcoma symptoms, how she has fought the disease, and how she now likes to help others too. Taliyah, is now 10 years old and lives in the USA. 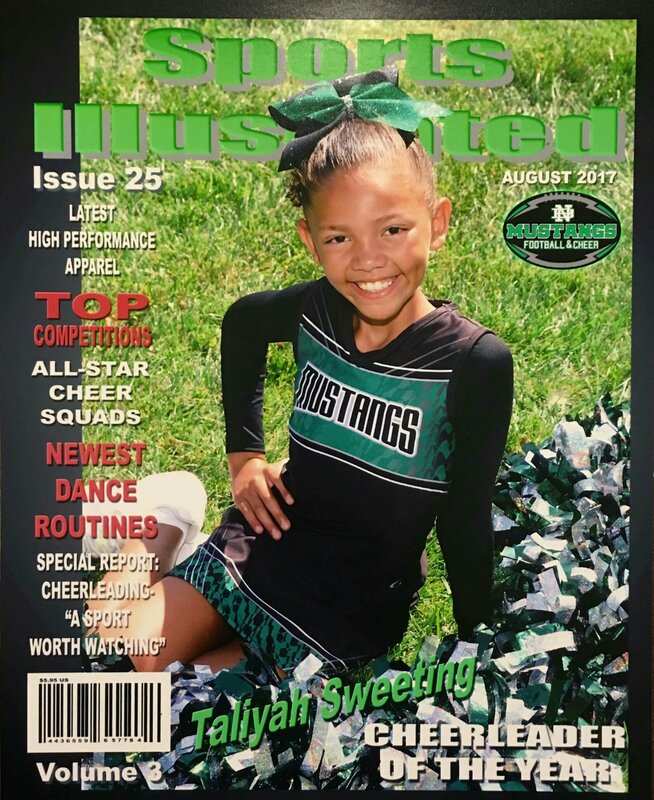 Taliyah, was just 7 years old when diagnosed, and her first symptom was a ‘stuffed-up’ nose, with loud breathing, snoring and sleep apnea. 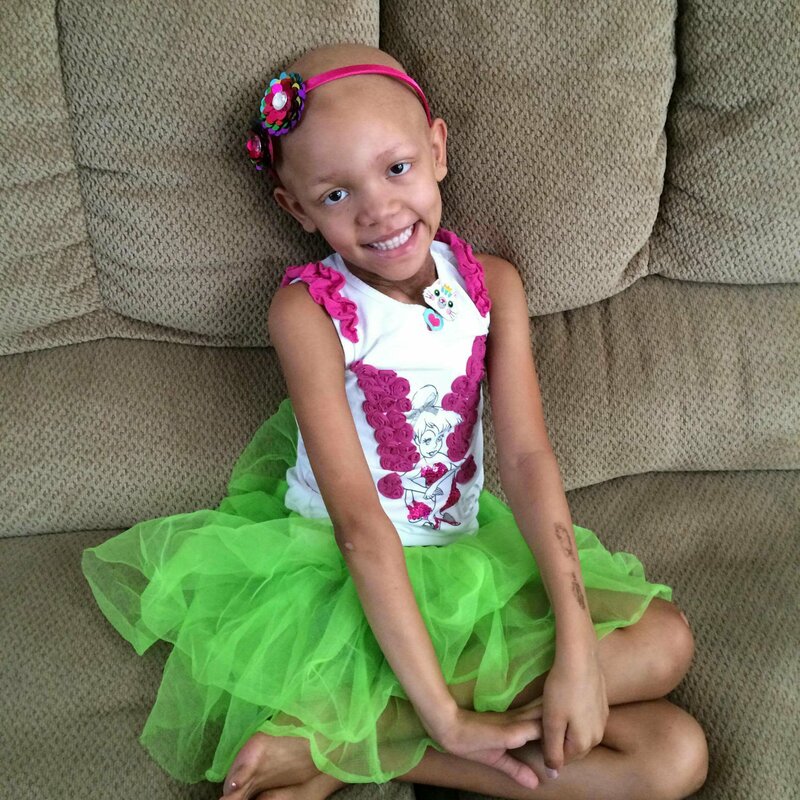 Taliyah, was diagnosed with Rhabdomyosarcoma just one week after her 7th birthday. Her first symptom was a “stuffed up nose”, which was causing loud mouth breathing and snoring. When we noticed that she was also experiencing sleep apnea, I took her to ‘urgent care’. We were told that it was the worst case of enlarged adenoids that her doctor had ever seen. She was scheduled for surgery a few days later; the day before her birthday. Eight long days later, we were given her cancer diagnosis. 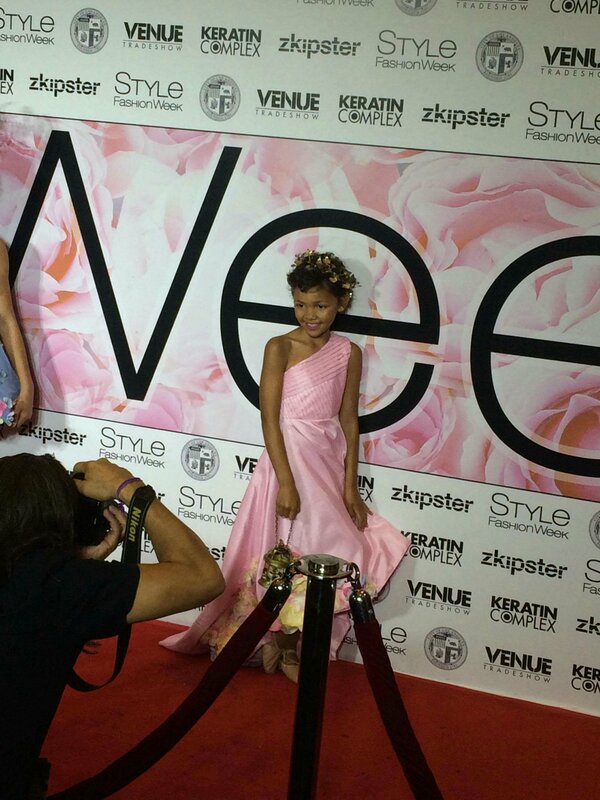 She endured 46 weeks of chemotherapy, 5 1/2 weeks of radiation, 5 surgeries, and over 60 transfusions. 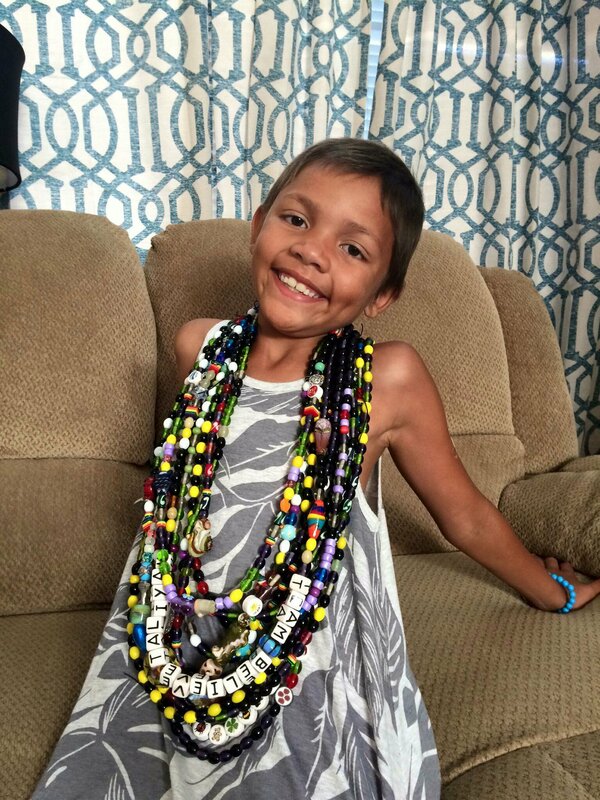 She earned over 1100 Beads of Courage during 11 months, being dubbed the ‘Warrior Princess’. 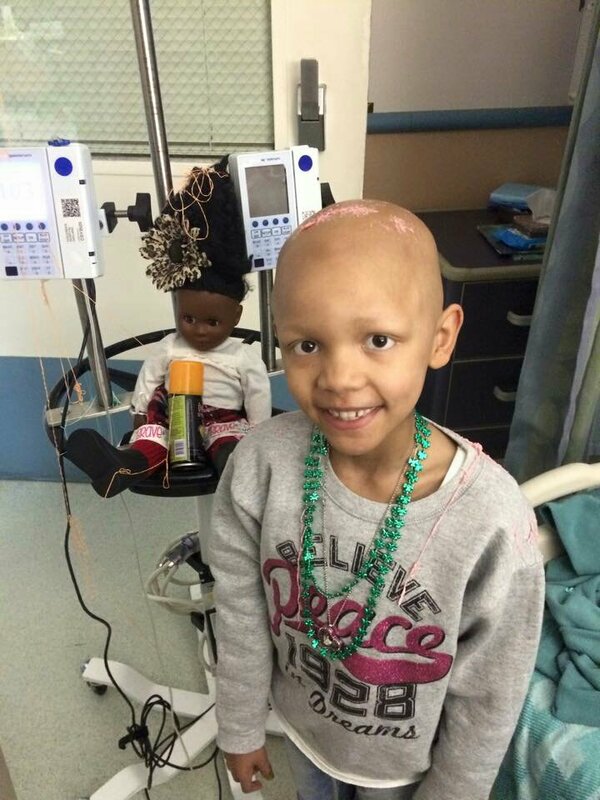 Despite the horrible treatments, Taliyah, kept a positive attitude and loved trying to cheer up others around her. One of our projects was sprucing up the ‘Broviac clips’ the hospital gave out [in the UK, we generally hear Hickman line or CVC, rather than ‘Broviac’. But, these are the clips associated with these lines, which although slightly different, have the same purpose]. 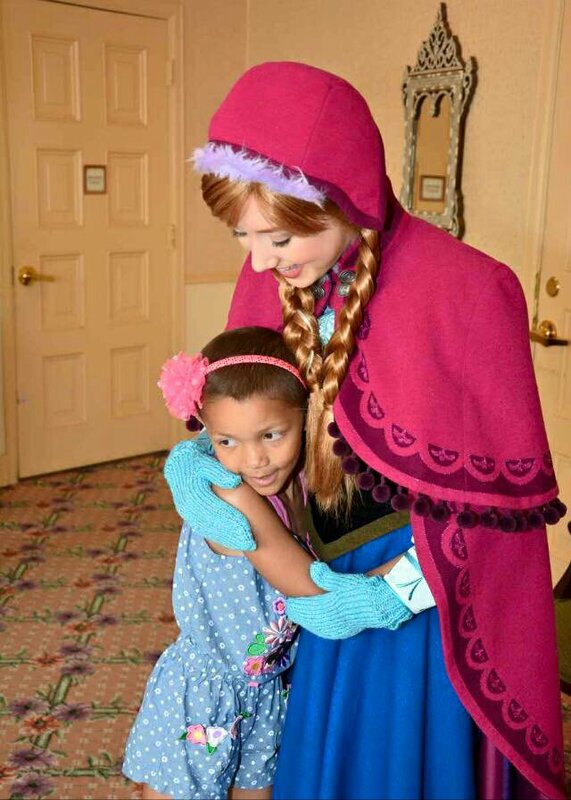 Since being off treatment, she has organized a toy drive each Christmas for the children’s hospital, she volunteers with a local cancer support group, ‘Pink Heals’, as a Junior Guardian, and she helps raise money and awareness for pediatric cancer research. Taliyah, also loves church; especially when she gets to volunteer with younger kids, cheerleading, singing and creating things. 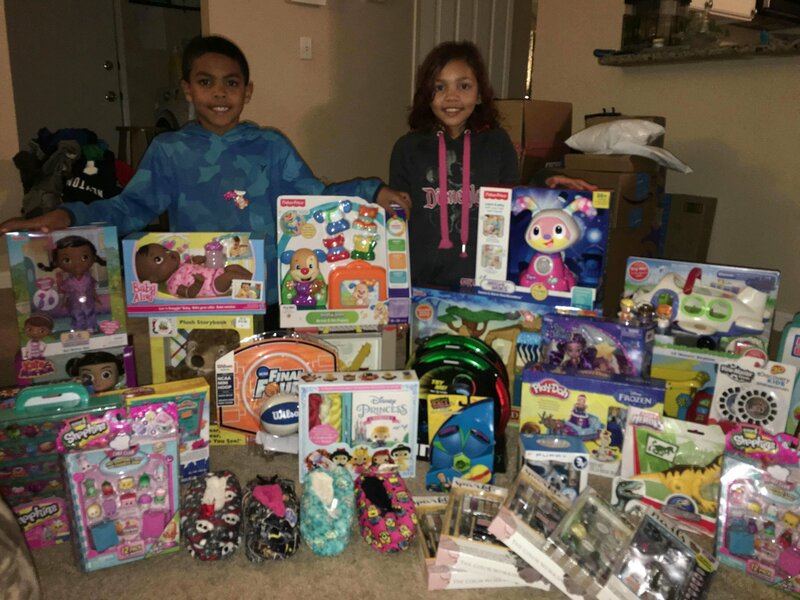 Taliyah’s ‘toy drive’ for the children’s hospital. 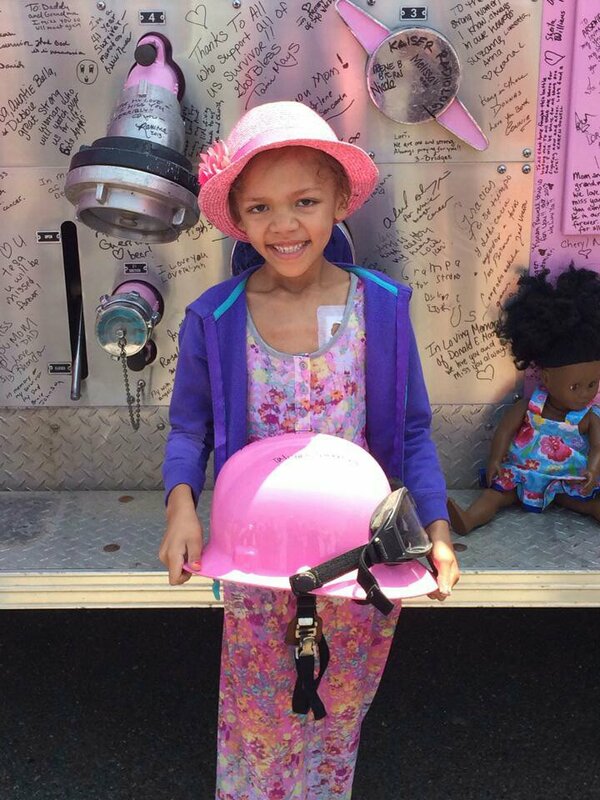 We are very grateful to Maryrose for allowing us to share her daughter, Taliyah’s, story with us, and we send all our love and best wishes to Taliyah and her family. Ziggy Zoo and Betty Too. Today, we share the story of James, by his mum, Christine. 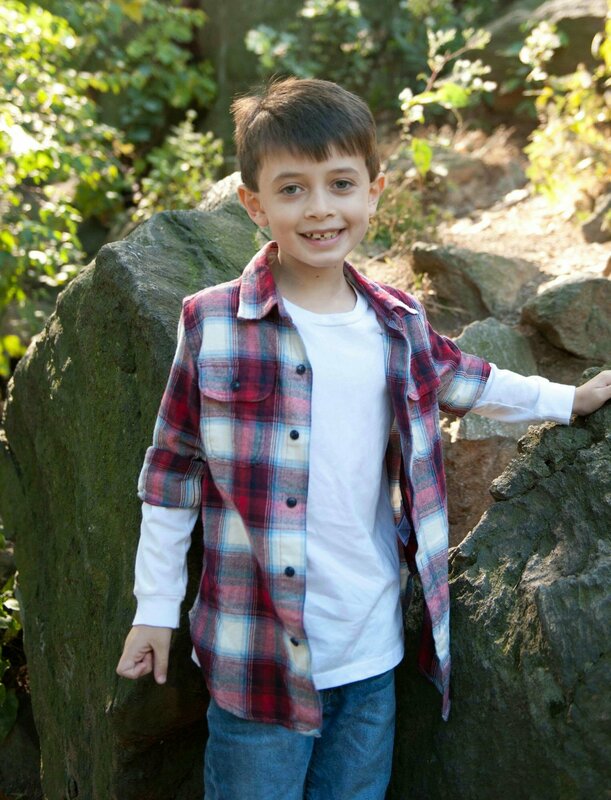 James has been diagnosed with Alveolar Rhabdomyosarcoma, at just 6 years old. They live in New York, USA. As you will read from Christine, in the USA, as here in the UK, children are continuing to get misdiagnosed initially. And then, when diagnosed, the cancer has, sometimes, already spread to other parts of their bodies. If you have not heard ‘PAX3’ being mentioned before, it is a gene that plays a critical role in the formation of tissues and organs during embryonic development, and is important for maintaining the normal function of certain cells after birth. The ‘HER2’ (human epidermal growth factor receptor 2) gene codes for a receptor on the surface of some cancer cells. Overactivity of the ‘HER2’ gene was identified as a pharmaceutical target for cancer drug development in the 1980s. Although not specific to breast cancer, you may have heard it referred to in this context before. Our thanks go to Christine for allowing us to share this story, and we send James, Christine, and their whole family, our best wishes in this ongoing battle with this evil disease. 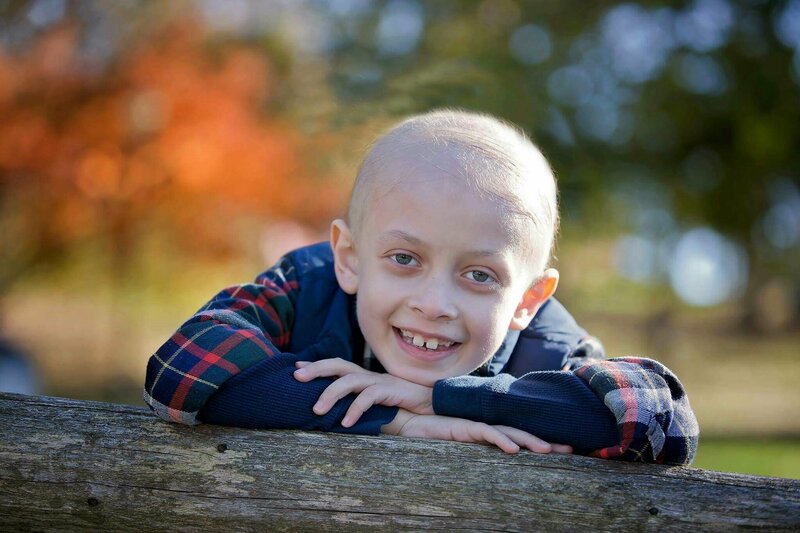 James was diagnosed with Alveolar Rhabdomyosarcoma (stage 4), on July 31, 2017. He was just 6 years old. Initially, he was misdiagnosed by a local hospital. As soon as we got the biopsy results, I called ‘Memorial Sloan Kettering Cancer Center’, because I wanted him to be treated there (we live in New York). They wouldn’t see him without slides and a finalized pathology report. While waiting for the finalized pathology report from the local hospital, he lost the ability to walk. We had our first visit to ‘Sloan’ on August 4, where we were told the grim news. The first sign my son had was groin pain and then a lump. I thought it was a hernia. It wasn’t. By the time he had that first symptom, it had metastasized and was widespread through his lymph nodes, in his bones, 80% in bone marrow, abdomen and possibly his lung. It had started in his calf. He is positive for the PAX3 fusion gene. Because it is in two channels, lymph nodes and bone marrow, we were told it is one of the most difficult cases to treat. There has only ever been one long term survivor of what James has, and that survivor is considered a miracle. There is no cure! When asked what we could do, we were told to pray. We are treating the disease to make him better and to buy some time, and in the meantime, hoping for a miracle or a medical breakthrough. We can never be sure of the amount of time James has left, but we have been told, the average life expectancy is 3 years, and the maximum is 5-6 years. We had our first post treatment scans recently. His PET Scan & CT scan showed no evidence of disease. We are waiting on the bone marrow and biopsy results. We were reminded by our oncologist, Dr. Wexler (who is considered “the” rhabdo expert), at our PET Scan results, that the challenge was not getting him to be clear, but keeping him that way. He is expected to relapse. Here in America, the lack of federal funding that goes to childhood cancer is the biggest tragedy as far as these children are concerned. Childhood cancer is the number one cause of disease related death for children in America, meanwhile, they only get 4% of federal funding for cancer research. Our children are literally dying from this and no one cares. Since sending this initial story to us, Christine, has now provided us with an update from the bone marrow and biopsy results. We got the results of James’s initial post treatment scans. While the PET Scan and CT Scan were clear, the MRI showed “residual disease”, and the bone marrow biopsy and aspirate results were “disappointing”. The cancer is still in his bone marrow. They are re-doing all scans in another 3 weeks to see if the marrow clears. We are scheduled to start radiation in addition to the chemo he’s on in January. If his bone marrow isn’t clear, I don’t know what we’ll do. They mentioned an immunotherapy in Texas, but he needed to test positive for the ‘HER2’ gene. He didn’t, so it isn’t an option for us. I’m terrified that this treatment plan may be failing him already. We go today to get him tattooed for radiation and have the mold made that he’ll be placed in for his daily radiation treatments. 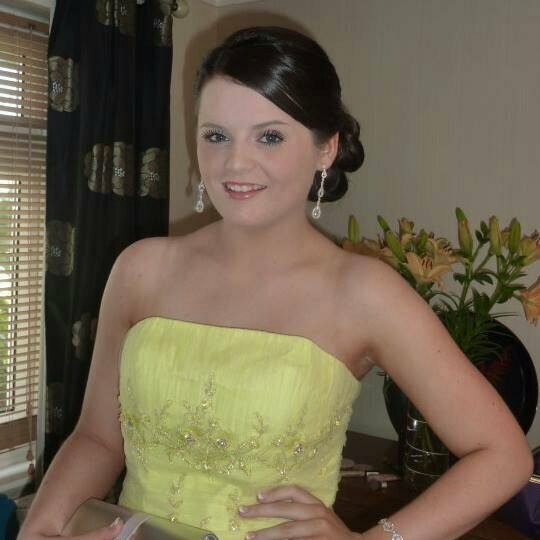 Today, is part 4, the final part of Lucy’s story, as told to us, by her mum, Michelle. If you have been following this story over the past few days, then you will have read an in-depth account of a mother’s love, commitment and heartache for her brave daughter, Lucy. Sadly, not all child cancer stories end in the way that we would hope. I’m sure this story has affected a great many people; not only from parents, or carers, of children with cancer, but many others too. Sadly, it is a story that will be repeated today, and tomorrow, and the next day. If you are affected by this story, or any of the stories or posts that we publish, please do seek professional support. We are very grateful to Michelle for allowing us to share Lucy’s story in this way. Lucy passed away peacefully with her family next to her, at our local hospice, on the 15th August 2014. She was so small, like a tiny little doll in the hospital bed. So frail, it had taken everything from her in those awful four years since diagnosis. She was free though, and in my muddled old brain, she could now do whatever she wanted to. We’ve had ribbons printed in her favourite yellow, and people have taken them on their holidays. So far, there are ribbons in 40 different countries. ‘The Judith Chalmers of the spirit world’, I joked the other day. It was just something, anything, to keep her memory alive. Life hasn’t been the same since she had to go. It’s hard, trying to find a new normal. We are a broken family, but somehow we keep going. My other three children are so damaged, and so sad. This has totally ruined their childhoods; their lives all changed. It breaks my heart. They have dreadful sibling guilt, and although we encourage them to do everything they want in life, it is so hard for them. Slowly, they are finding their feet again, and we couldn’t be prouder. My poor hubby has also lost his lovely mum to cancer since Lucy died, and his dad was diagnosed only four months later. I don’t think it’s hit him yet. He’s very protective, very caring, and on his bad days, I hope I am the very same for him. I’ve suffered ill health ever since, with various different problems, mainly down to anxiety. Some people don’t know, some don’t understand, but the world frightens me now. I feel I’m still on amber alert, waiting for the next disaster. I want to feel happy, but too frightened to dare to. Or is that guilt too? I’ve gone from a, ‘tenacious force to be reckoned with’, as one doctor called me, to being frightened to go out alone. My gp has been very supportive, and I’m getting help for the mental scars left behind. It frustrates and infuriates me being so weak. Being strong for too long, over four years, has taken its toll I suppose. I didn’t deal with it during Lucy’s illness. It hit me afterwards, and I don’t discuss it with many. I’m quite private really on the awful days. I, maybe, should ring a friend up and shout for help, but I haven’t. It’s not just your child you watch facing and going through this nightmare. I’ve lost count of the teenagers I’ve watched lose their hair, their limbs and their lives too. It messes your head up, a lot. My husband, family and good friends have been amazing, very patient, and just get it. Lucy will be missed forever. There’s no moving on, and some days, I don’t really know how to live the rest of my life with this pain. This grief is just love, I’ve accepted that. I felt very rushed, and a failure at first that I wasn’t ‘back to normal’. Now, I have come to understand such grief is part of, and remains with me. It’s part of us, part of our family. Lucy is still such an inspiration to us. We miss her humour, her kindness and her laughter. Everything. One in a million, loved to the moon and back, I used to say to her. I try my best not to dwell on the sadness, the illness, or the things cancer has taken, but to try to focus on how blessed we were to have such a wonderful girl for 20 years. It’s not easy though, but I hope she knows how much she’s loved and how proud we all are. Today, we share part 3 (of 4) of Lucy’s story, as told to us, by her Mum, Michelle. Unfortunately, despite the chemotherapy and radiotherapy treatment to treat the ‘alveolar rhabdomyosarcoma’, Lucy, started showing significant signs of relapse. We had 13 months of normality, but then Lucy started to lose weight rapidly. She didn’t have an appetite, she was tired, and had developed a weird crackle when breathing out. She thought it sounded like popping candy. I knew. She knew. But, we went around in circles, never mentioning the dreaded relapse word. Her bloods were fine, and a chest x-ray was also fine. That Sunday, I carried her down the stairs, and after days of saying she would go to A & E, on Sunday, when she was ready, she allowed me to phone an ambulance. The next few days were a blur, but Lucy and me already knew. It was back, hundreds of tumours in both lungs. Lucy had a lung drain fitted; it seemed like gallons of cancerous fluid came out, and we flew by air ambulance to the ‘Christie’ for more treatment. We were told that Lucy’s cancer was incurable, and we had to face the fact that she would die. My little girl was going to die. After a few months of chemo, Lucy bounced back again, and although very weak, she got on with living as best she could. The cancer though, got cleverer each time it returned, and much stronger. Every time she relapsed, she wanted more chemo; she wanted to live her life as long as possible, and be with those she loved so much. There were endless blood transfusions, platelets, infections, cellulitis, sepsis. We nearly lost her to sepsis twice. I’ve never seen anybody become so ill, so quickly. It was absolutely terrifying. To the world, Lucy put on a brave face, always smiling and happy. She was, of course, so brave, but also so good at wearing that mask too. She never discussed with her friends what was really happening. She just wanted to be Lucy, but there were lots of long nights when it was just me and Lu, hugging and crying, because she was so so frightened and didn’t want to die. She never once said, ‘why me?’ We discussed every topic, every subject. Lucy knew she was so loved, and that is something that I am so glad about. Her favourite place was home, and when asked during a hip aspiration to go to her happy place in her head, she said, ‘oh it’s in my garden, with a pink wine, but don’t tell my doctor that!’ Nowhere tropical, nowhere fancy…just home. ‘No place like home’, she always said, as our flight landed. The final and 4th relapse was absolutely terrifying to watch. The cancer moved from her chest wall to her neck, spreading to her jaw and her gums. Again, more chemo. More radiotherapy to her neck. It was just horrendous, this horrible, insidious disease, and all that it brought with it. But, all the barbaric treatments too. My heart was shattered into a million tiny pieces. I remember one night she was screaming in pain and said she had had enough; she just wanted to go. People see the tv ads, with happy bald kids smiling. Believe me, it’s not like that. These outdated, much under-funded treatments are killing our kids, and if they do survive, they are left with life long health problems. It’s never truly over. We are very grateful to Michelle for allowing us to share Lucy’s story in this way, and we have part 4, the final part of Lucy’s story, in Michelle’s words, to share later. Today, we share part 2 (of 4) of Lucy’s story, as told to us, by her Mum, Michelle. The diagnosis of ‘alveolar rhabdomyosarcoma’ has been made, and Lucy, with her mum, have travelled to Manchester, in preparation for her treatment. ‘it’s all going to be hit by chemo. Staging is for the doctors to work out how much treatment is needed. You either have cancer or you don’t. Staging is for the experts, but people do like to weigh up the odds of survival with that teeny bit of knowledge. Forget that bit, we are going to get on with it. Others can get through this Lucy, I don’t see why you can’t’. So we did. We got on with treatments, ticking off the treatment plan, now sellotaped to the kitchen wall. Eight months of chemo to start, consisting of five days of continuous chemo, even through the night. Every three weeks, for eight months, she had to endure chemo. She was so sick at first; the mouth ulcers, the sore bones, chemo cravings (chips at 3am, but I was just glad she was eating), and the hair loss. In total, I shaved Lucy’s hair off three times. A mother should never have to do that, but cancer makes sure lots of things that shouldn’t happen, do happen. Her wig, she named, Mabel. Lucy then had to have an ileostomy for radiotherapy; she was so brave, but we separated that op away from the treatment. Lucy joked, that of all places, it had to be near her bum! The op was a necessary evil, like the chemo, but to save the risk of infection from the radiotherapy. Six weeks of radiotherapy to five different areas. I’ve never seen burns like it. Internal burns too, which needed numerous operations later because of the scar tissue left behind. After the initial eight months of IVADO chemo and radio, followed a year of maintenance chemo. A daily dose at home, in tablet form, with a weekly bag of iv chemo done at our local hospital. Somehow, in those 18 months or so of chemo, Lucy never had any infections. Life returned to a new normality. Lucy went back to college and had driving lessons. She turned 18, and it was so nice to worry about the normal stuff, like her getting drunk, and splashing hair dye on the bathroom wallpaper…we loved it. Little things people take for granted, I never will again. 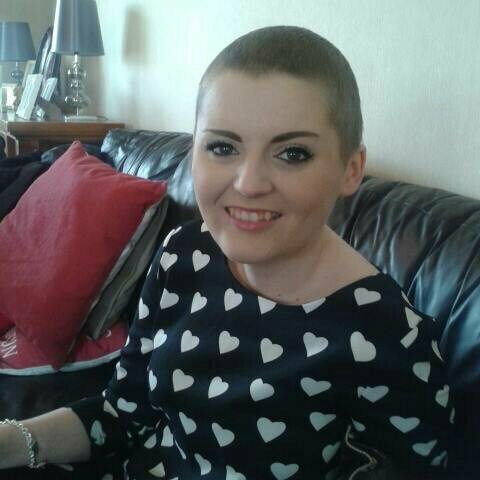 Michelle has described what Lucy went through during her cancer treatment. I’m sure many parents will have similar experiences from their own child’s cancer treatment. Many parents ask to know what ‘stage’ the cancer is at, but some, such as us, didn’t need to know, or didn’t want to know until much later on. We are very grateful to Michelle for allowing us to share Lucy’s story in this way, and we have part 3 of Lucy’s story, in Michelle’s words, to share later. Today, we are sharing the first part of a 4-part story. This is Lucy’s story, as told to us, by her mum, Michelle. Many parents, or carers, of children with cancer, will recognise their own stories within this account, from a mum, who was not only battling with her own overwhelming emotions, but also trying to ‘stay strong’ for her daughter; a term that you’ll see Michelle begins to dislike greatly. It’s honest. It’s hard-hitting. It’s incredibly heart-breaking, yet heartening too. My daughter, Lucy, was 16 when she told me she thought she had a little pile. It was just a little lump. The next day, at the docs, we were told she had a perineal abscess. There were no other symptoms at that point, so we weren’t overly concerned, although I had that horrible, stomach turning panic, that all parents have when their kids aren’t well. After a couple of weeks, and various different antibiotics, I took her to A & E, as she couldn’t sit down; this lump was growing so rapidly, and her lymph nodes were swollen in her groin. I knew something was very wrong. After an initial diagnosis of ‘Non-Hodgkins’, the biopsy told us it was in fact, Alveolar Rhabdomyosarcoma, stage 4. We flew from the Isle of Man to the ‘Christie’ in Manchester, where a lot of investigations, bloods, scans, hip aspirations, etc, took place, and a Hickman line was fitted. Rhabdomyosarcoma! How do you even pronounce it, never mind spell it? How will we manage living away from home? We won’t know anyone, or be able to cope with all this new and scary medical stuff. Amazing friends of mine, whose children all had serious, or life limiting conditions, told me not to worry about that, you’ll be surprised what you learn, and the staff will all become your friends. My god, they were right! Michelle has said, in just those two paragraphs, what many cancer parents can identify with; how general concern becomes a diagnosis with a name we cannot even begin to pronounce at first; how unfamiliar the hospital surroundings are to begin with; and how even though we are frightened, we gather all our strength, and tell ourselves, it will be ok.
We are very grateful to Michelle for allowing us to share Lucy’s story in this way, and we have part 2 of Lucy’s story, in Michelle’s words, to share later. Today, we share part 2 of Marie’s blog about having a child with cancer. It’s her perspective on the experience. The ‘rock’ keeps coming back. Our son was first diagnosed with Rhabdomysarcoma in 2006. The doctors initially thought he had tonsillitis and so his very aggressive form of cancer was allowed to grow unchecked for many months. Following diagnosis he started treatment immediately, and after 12 months of chemotherapy and six weeks radiotherapy he was in remission. In 2014 however, he was diagnosed with Osteosarcoma (bone cancer) and needed more chemotherapy and many hours of surgery before he went into remission again. The Osteosarcoma was caused by the radiotherapy he had for the first tumour. From new Mum to working Mum and all the stories in between.